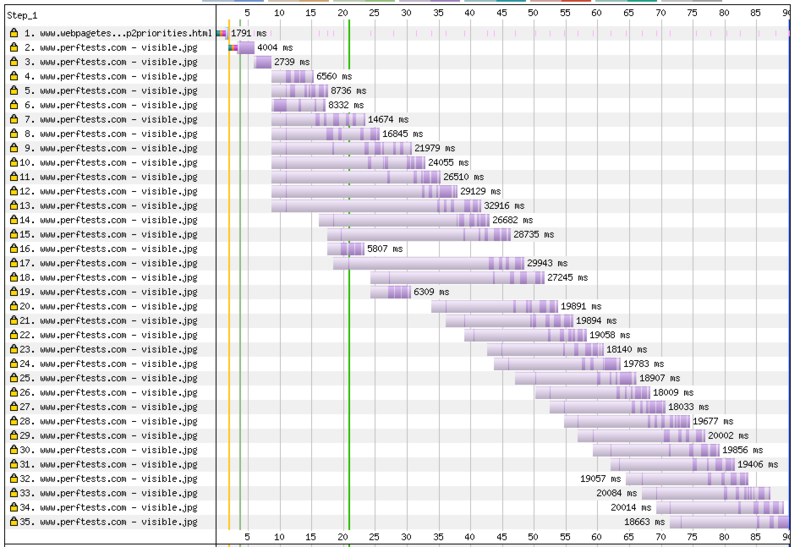 The long and short of it is: even with HTTP/2 Chrome will limit the number of inflight requests to 10 on slow connections. 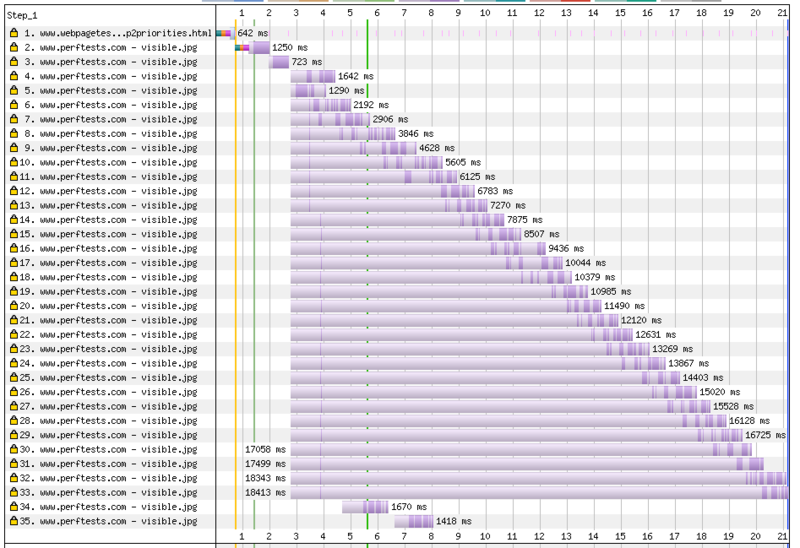 For those of you who are testing HTTP/2 priorities ( and here ) with anything slower than “3G Fast” on WebPageTest, you are likely running into this. You’ll need to bump the network option to “3G Fast” in order to avoid the Chrome request throttling when running those types of tests. That is the newer behavior in Chrome. This is likely what you’d be used to seeing. I’ve come to expect changes in browsers ( especially Chrome ) to have significant impacts on tests where I’m looking at trending data. If you see something strange pop up, check the Chrome versions, then see if a change in that release could be the cause. Chrome has an estimated release schedule that you might want to keep in mind.